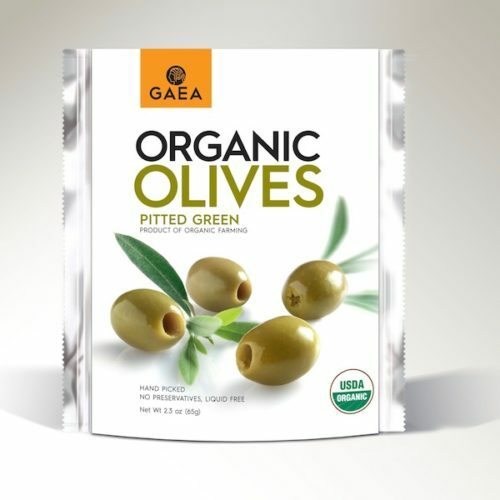 GAEA Organic Pitted Green Olives are handpicked from organically cultivated trees. These superb Olympian organic olives are plumb, fleshy, and full of flavor. 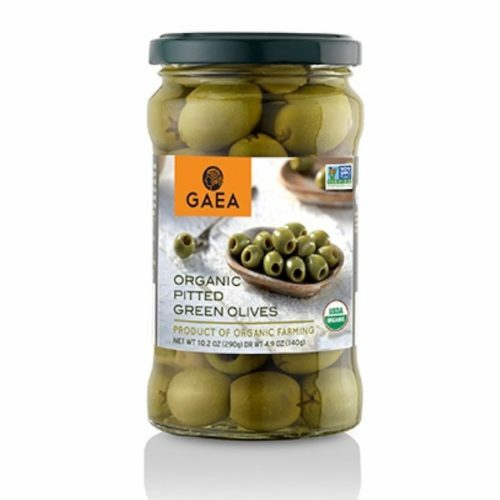 These all-natural large organic green olives are a delicious meze finger food. 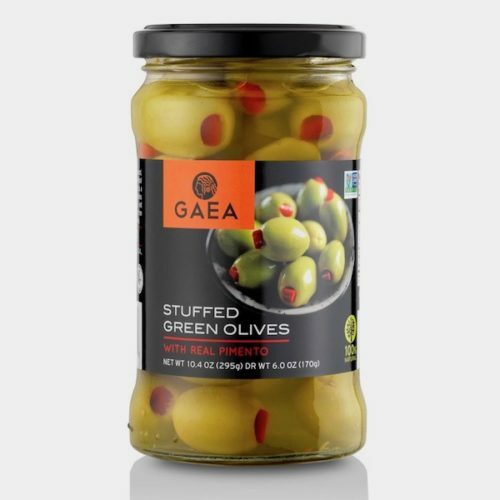 Filled by hand, one at a time with whole garlic cloves, GAEA stuffed green olives are a delicious meze finger food. Serve on their own or add to casseroles and salads. Served as meze finger food or appetizer to savor and share from the Greek Mediterranean table. 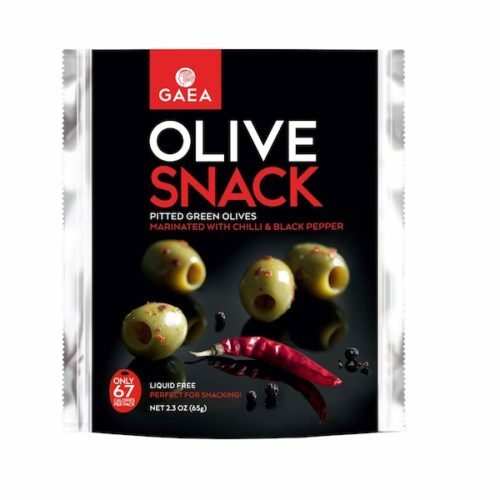 GAEA Gourmet Green Olives are super-mammoth olives, pitted and marinated with garlic, orange peel, red bell pepper, basil, coriander, lemon, Gaea extra virgin olive oil. 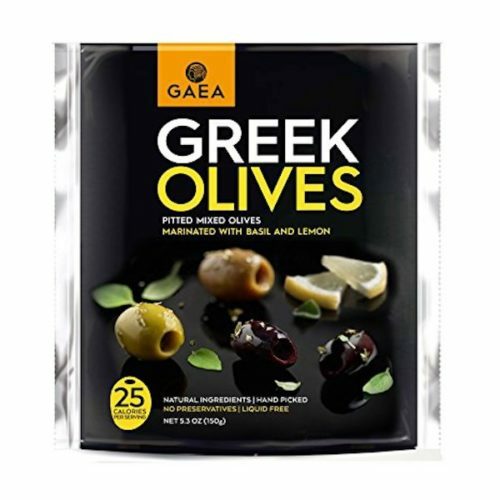 Packed in protected atmosphere, re-sealable, liquid free, packaging that keeps the olives fresh and full of authentic Greek flavors. They are preservative free and with reduced salt. 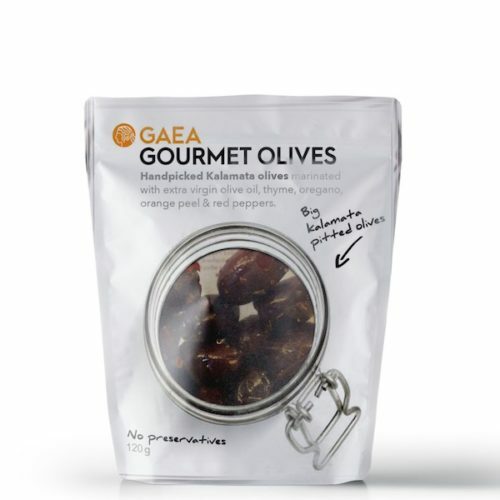 GAEA Gourmet Kalamata Olives are super-mammoth olives. They are famous for being plump and fleshy and are pitted and marinated with oregano, thyme, Florina pepper, orange peel and Gaea extra virgin olive oil. 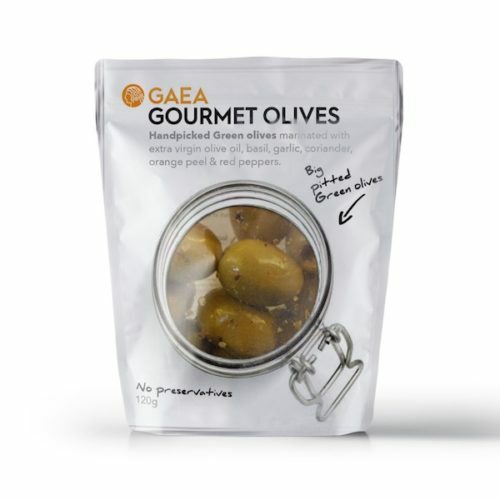 Packed in protected atmosphere, re-sealable, liquid free, packaging that keeps the olives fresh and full of authentic Greek flavors. They are preservative free and with reduced salt. 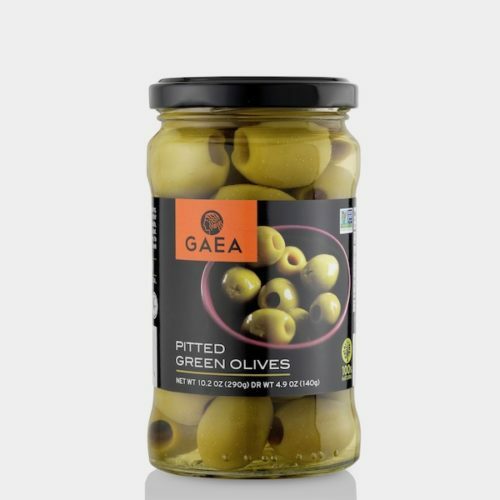 Filled by hand, one at a time with freshly cut natural pimento, GAEA pimento-stuffed green olives are a delicious meze finger food. Serve on their own or add to casseroles and salads. Served as meze finger food or appetizer to savor and share from the Greek Mediterranean table. 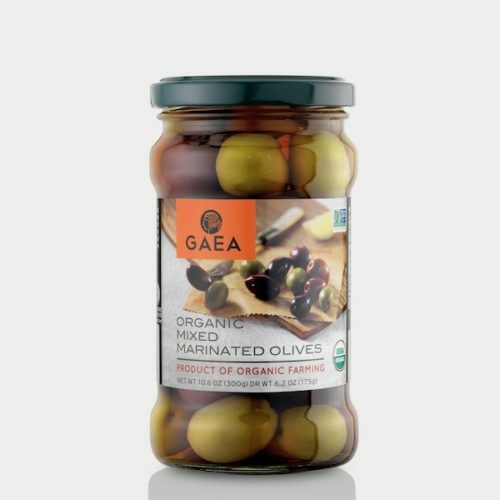 GAEA Organic mixed marinated olives are hand-picked from organically cultivated trees. 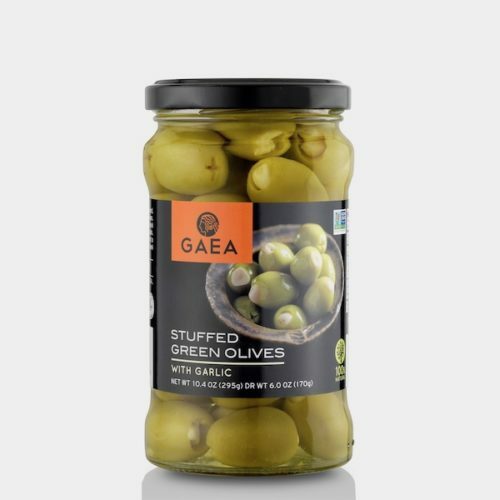 These plump, fleshy and full of flavor olives are particularly suitable in accompanying meze finger food for ouzo or to be added in a classical Greek salad. Savor and share from the Greek Mediterranean table. 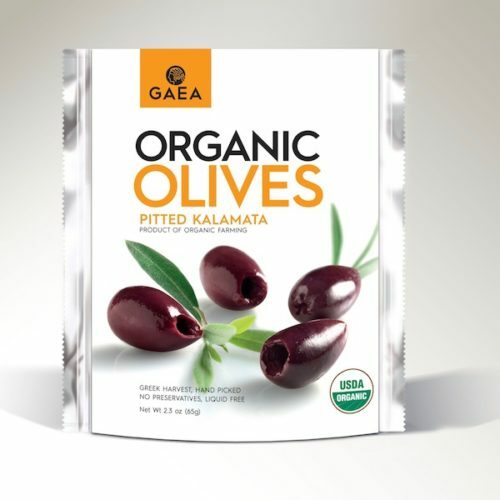 GAEA Organic Pitted Green Olives are handpicked from organically cultivated trees. These superb Olympian organic olives are plumb, fleshy and full of flavor. Eat on their own or add to casseroles and salads. Meze finger food and appetizers to savour and share from the Greek mediteranean table. 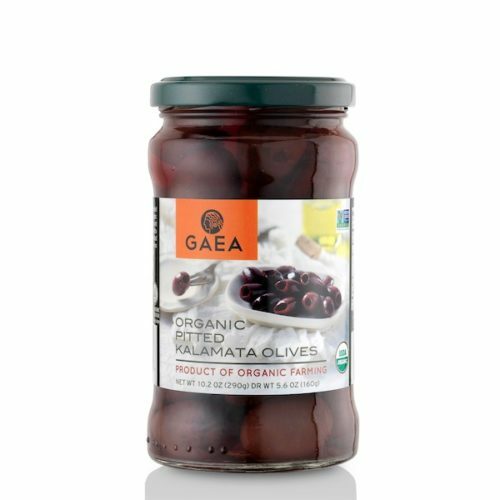 GAEA Organic Pitted Kalamata Olives come from the famous Kalamata region and are handpicked from organically cultivated trees. Plump, fleshy and full of flavor. Eat on their own or add to casseroles and salads. Meze finger food and appetizers to savour and share from the Greek mediteranean table. 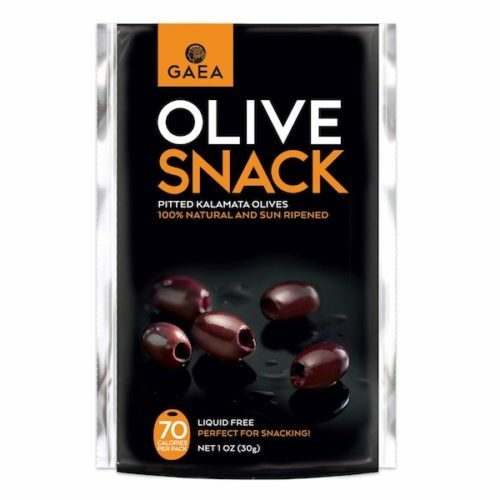 GAEA Pitted Kalamata Olives Snack is 100% natural and delicious. 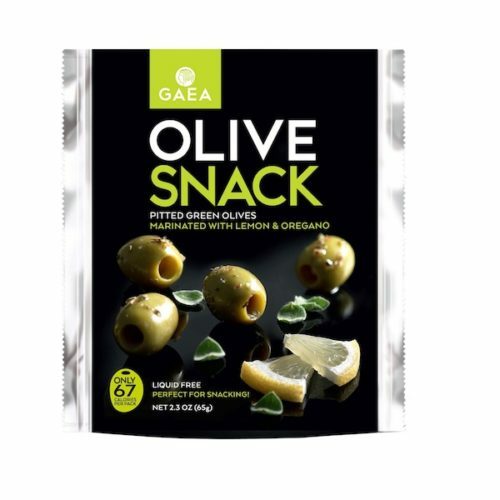 It is the 1st olive snack in the world without preservatives or additives and the lowest salt content. 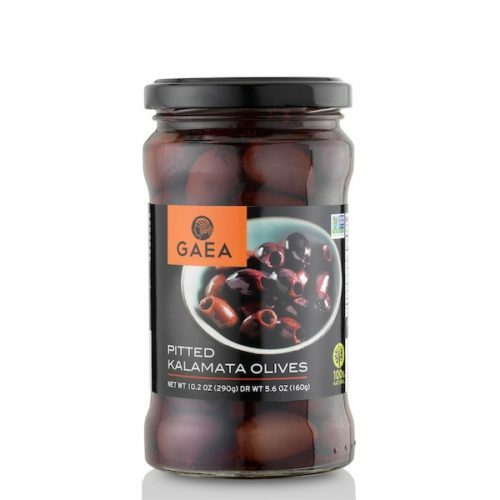 The famous Kalamata olives are pitted and packed in an innovative resealable packaging, allowing repeated safe openings and closings. 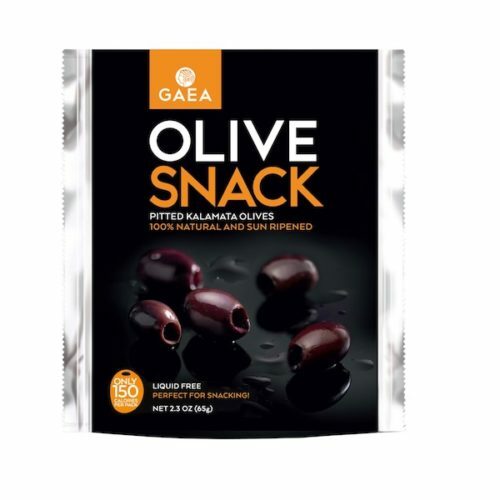 The GAEA Kalamata Olive snack is a source of dietary fiber and copper, rich in vitamin E and contains mono-unsaturated fatty acids and polyphenols. 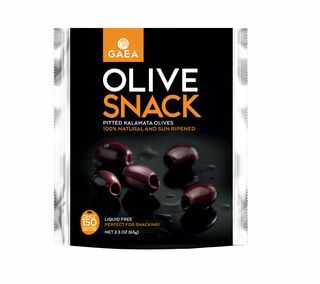 Liquid-free and full of authentic Greek flavors, it’s a delicious and a perfectly healthy, low calories snack for anytime of the day!